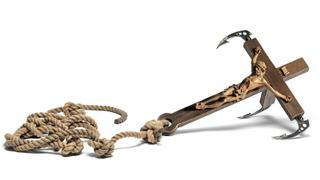 The most famous work to emerge from Banksy's The Walled Off Hotel - both a functioning boutique hotel and political statement opened by the artist in Bethlehem - Grappling Hook is described by the artist as a "military grade grappling hook and combination spiritual ornament" which seeks to comment on the intertwined political and religious elements of the struggle between Palestine and Israel. Number 24 of a 26 piece limited edition, the work was originally sold as part of an anonymous pop-up in New York in 2017 and is accompanied by a hand-painted custom cardboard box and humorous sketch advising it should be used 'for display purposes only'. If you're an avid collector of 20th Century art then March is a stellar month for rare and unusual investment pieces. Featuring works by the likes of Roy Lichtenstein, Jean-Michel Basquiat and Cy Twombly, Phillips' 20th Century and Contemporary Art sale offers one of the richest catalogues. 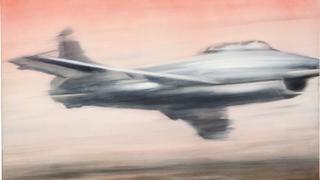 The undeniable highlight, however, is Gerhard Richter's Düsenjäger. Painted in 1963 as one of the earliest pieces to come out of the German Pop art movement, this mammoth work stretches two metres in width and has been exhibited all over the world at institutions including the San Francisco Museum of Modern Art and the Art Institute of Chicago. Düsenjäger is particularly notable for its simultaneous use of photorealism and abstraction and, while Richter often downplayed the importance of his subject matter, the depiction of an Allied war bomber has variously been ascribed as a reference to the planes that destroyed Richter's childhood home in Dresden, a pointed comment on the tensions of the Cold War which were swirling at the time and a warning against the dangers of idealism. Looking for a vacation home to suit all ages and interests? This beautiful coastal estate in Punta Cana, Dominican Republic, offers the perfect spot for yacht owners to drop anchor and step ashore. Offering just under an acre of land, the 15,000 square foot estate is located in the exclusive Cap Cana community and overlooks the third and fourth fairways of the famous Punta Espada golf course and the Atlantic Ocean beyond. 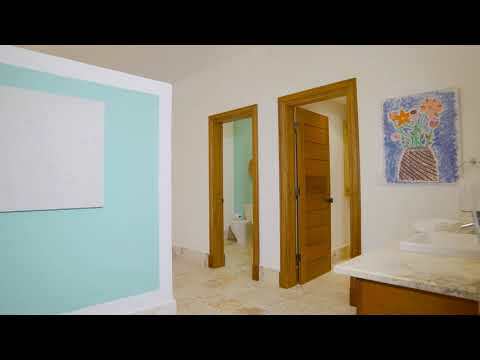 The modern villa was built in 2009 and offers six guest bedrooms, including two master suites, seven full bathrooms and one half bathroom all decked out in a light and relaxed beach house-style decor. Further interior living spaces include a large chef's kitchen, dining room, yoga studio, cosy living room and vast loft-style seating area while outside entertainment spaces include a roof terrace with seating, dining and cooking areas. The landscaped garden also boasts a patio, pool and elevated spa with a 'water wall'. The property comes with a manager and chef as well as staff quarters with two bedrooms and a fitness centre. 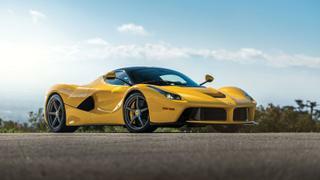 Few and far between are the modern cars that can command an asking price in the millions at auction - but then the Ferrari LaFerrari is not just any car. Originally debuted at the Geneva Motor Show in 2013, LaFerrari was the marque's first hypercar and was so highly anticipated that enthusiasts paid millions for the privilege of testing the development vehicle - all without even the promise that they should be granted ownership when the highly exclusive model went into production. Delivered in 2015 as part of a 499 chassis run, this pristine example has covered less than 600 miles and is presented in Ferrari's classic Giallo Modena yellow with relatively rare co-ordinating side mirrors.